Honey, I Shrunk the Streets!! Big things come in small packages and our next exhibit “Honey, I Shrunk the Streets” proves just that. In this one-of-a-kind exhibition, our 1AM community of artists will paint miniature versions of billboards, brick walls, trucks, and dumpsters provided by TYO toys. 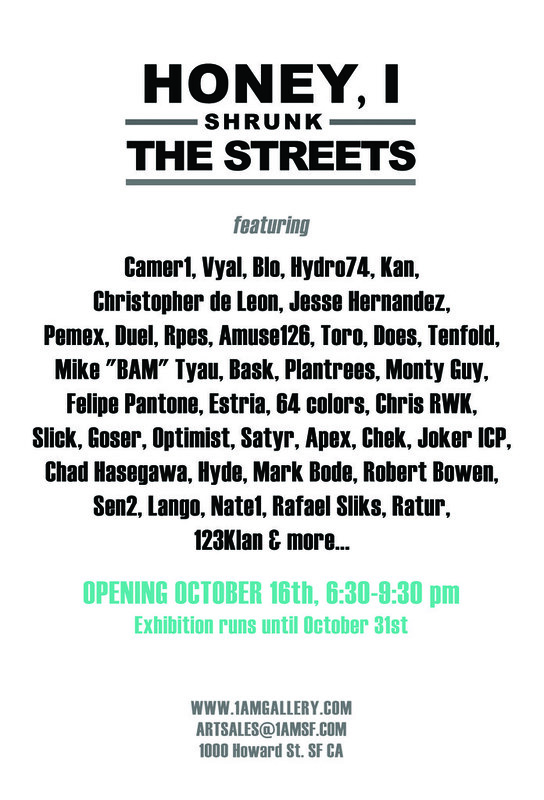 Check out our artist list on the flyer below and save the date – October 16th, 6:30-9:30pm!